Here's my simple summary: if you are Christian who fundraises, this books is for you. If you are working for an organization that regards fundraising as a necessary evil, you might need to buy more than one copy! 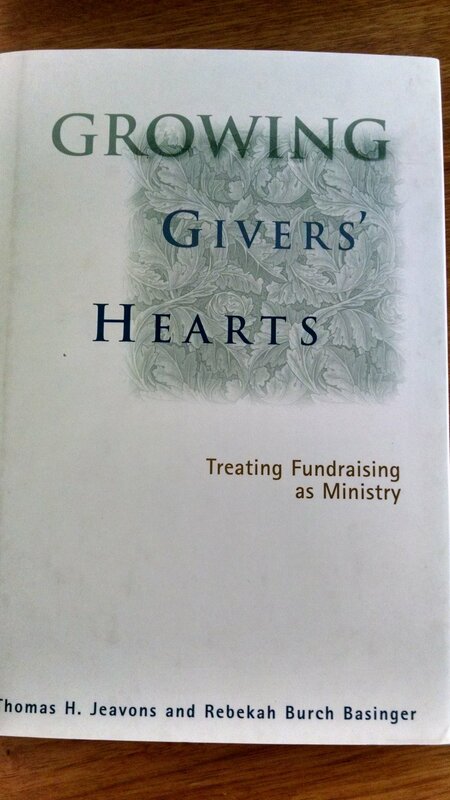 I have been recommending this book on Christian fundraising for over a decade now. Its message on Christian fundraising as ministry still rings true. It's hard to underestimate how influential this book has been for me. Really I could file this one under self-help: it helped me realize I was not crazy for wanting to connect fundraising and theology. I found it at a time when resources on the theology of fundraising were scarce. An early set of my scribbly notes quotes page 10 "We believe that the central goal of a Christian fundraising program should be to help its donors' hearts grow bigger." Fundraising must connect to the spiritual values of the organization and to the faith of its supporters. Does your organization believe in God's abundance, that God will provide enough resources to support your ministry? How would your donors answer that question? Jeavons and Basinger's chapter on "Confidence in God's Abundance" navigates the scarcity minefield many fundraisers tiptoe through. I'm grateful to have found this book. It's still out there on Amazon, enormous wisdom at a modest price. A classic!